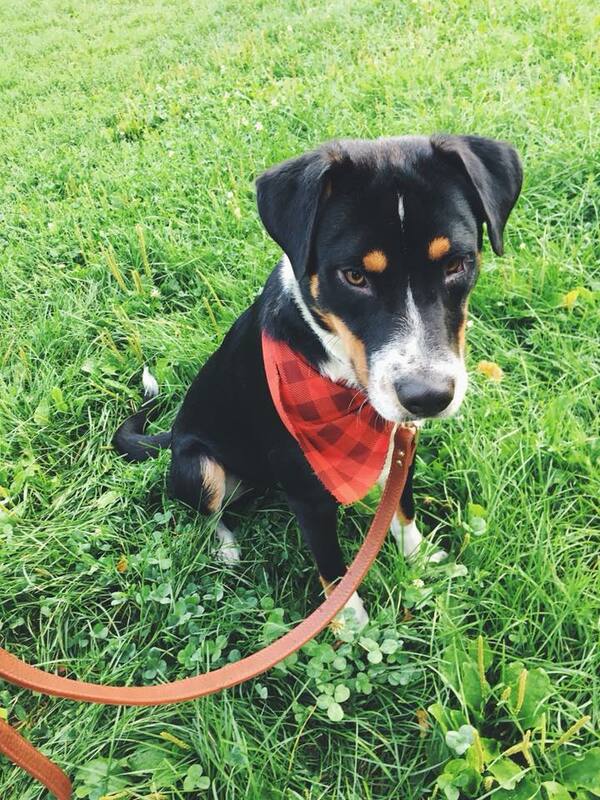 A (long) list of reasons that Frodo is an AMAZING dog, as told by his foster mom. – A complete snuggle bug. – Incredible on the leash: will match your pace EXACTLY (from standing still to running), does not pull at ALL. – Extremely chilled out inside the apartment, settles down immediately. – Zero prey drive: doesn’t even acknowledge birds or squirrels or neighbourhood cats. – Loves other dogs, but is extremely polite when greeting them & will not approach unless he is allowed. – Loves people as well & is equally polite when greeting them. – Zero interest in the cat litter or cat toys. – Zero resource guarding of absolutely anything or anyone. – Paces himself with his food and prefers to graze lightly over a period of time. – Extremely gentle with his toys. – No signs of destructive behaviour at ALL. – Despite us being warned that he is not good in cars, he accepted his belly band with no problems, did not even pee in it & was calm and relaxed with me in the back seat for a long journey. – Despite us being warned that he does NOT like crates, he settled in by himself immediately after we set it up & enjoys going in their of his own accord to relax. – Was happy in his closed crate all night after maybe 30 seconds of light whimpering. – Stayed in his crate while we ate dinner WITHOUT being told to. – Stops what he’s doing IMMEDIATELY when told ‘no’. – Zero barking, biting or jumping. – Zero interest in our possessions: shoes, laundry, pillows, blankets plants, etc. – Very responsive to clicker training so far for basic commands. – Loves giving kisses & has a VERY soft bite when he takes treats. – Not spooked by anything: happy going through doors, elevators, stairs, not scared of bikers/skateboarders/cars/joggers/loud sounds. So far only one accident in the house, but that has been the only time he’s gone at all since we picked him up despite several walks. So house training TBD!